Can I Make a Copy of My Quiz? 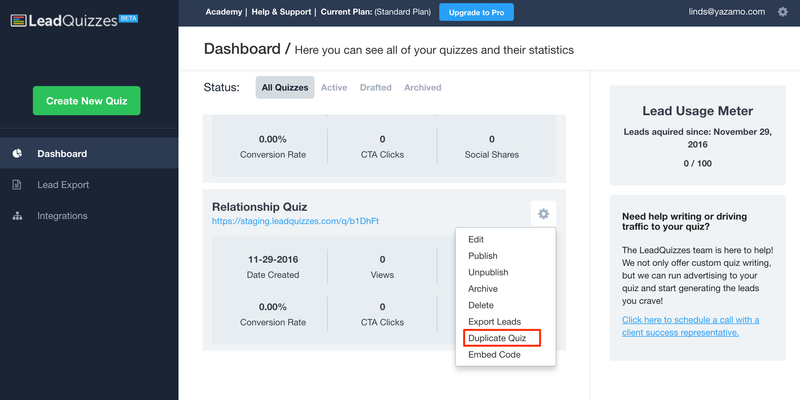 Yes, you can duplicate your quiz from the dashboard! 4. Your quiz will be duplicated and it will be the name of your quiz with "copy" in the title.